The Russian Orthodox Church does not rule out that the grave of Emperor Alexander III in SS Peter and Paul Cathedral could have been opened before. "We are not alleging anything, we are not alleging that the grave was invaded, although we believe it could have happened. The only thing we are alleging now is that the headstone was disassembled and then assembled again," Bishop Tikhon of Yegoryevsk, secretary of the Patriarch's Council on Culture, told a press conference in Moscow on Friday. "It is possible that the tsar's remains were disturbed, there could have been looting and they are in an inappropriate condition," the bishop said. The announcement is backed by Dr. Marina Logunova, chief research associate at the St. Petersburg State History Museum. "There is evidence from the 1920s, including publications by Polish newspapers, that the tombs of Peter I and Alexander III had been opened, but there are no official documents confirming this," she told TASS. The bishop said a possible opening of the grave is indicated by the absence of metal belts holding the marble covers of the headstones, which was discovered by experts who worked in the SS Peter and Paul Cathedral. The bishop also said garbage, traces of asbestos and plaster and broken stones had been found under the headstone cover. Experts now have to lift the stone under the headstone, he said, reiterating that all actions are recorded on video and photographed. Bishop Tikhon said graves in the SS Peter and Paul Cathedral have been opened before, possibly multiple times. He said there is evidence of the opening of tsars' graves, including Peter I and Alexander I, adding that the remains of the latter were not found, the grave was empty and that evidence can become "a weighty argument" to the Russian Orthodox Church. "We are not brushing any evidence aside, we are trying to check it," he said. 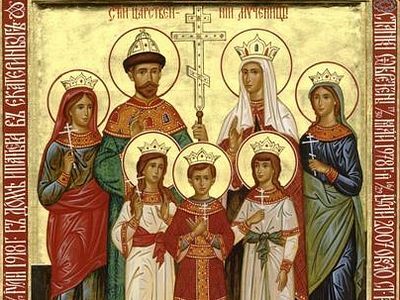 Church head Patriarch Kirill I of Moscow and All Russia asked the government in October to do comparative genetic studies of remains of Emperor Nicholas and his father, Alexander III. 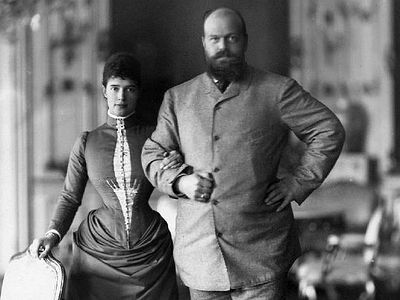 This follows Investigative Committee resumed criminal proceedings earlier in the autumn into the slaying of members of the Romanov Imperial Family. The Russia's Orthodox Church believes that positive findings of these forensic studies will deliver incontestable proof of the genuineness of tsarist remains and an opportunity for assigning to them the status of holy relics. Meanwhile, Alexander Zakatov, spokesman for the Romanov Imperial House in Russia, told TASS in an interview that final conclusions about authenticity of the remains of the Russian Imperial family would be premature. "The head of the House of Romanov, Grand Duchess Maria Vladimirovna, welcomed resumption of the investigation and the fact that the state has accommodated the Russian Orthodox Church request," said Zakatov. "However, the remains of Emperor Alexander III [the father of Nicholas II] have not been studied yet. The facts made public today are just interim results of the investigation, a comparison with certain remained samples," he added. "So far these results are consistent with the version that the Ekaterinburg remains may belong to the Imperial family. It’s premature to speak of a final decision yet. There are doubts, there are questions - all these questions, both genetic and historical ones, require an answer." 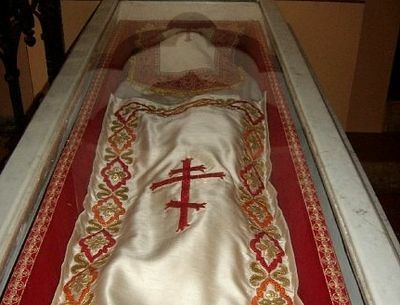 As part of its ongoing investigation into the murder of the last royal family of Russia and the testing of their alleged remains, the Russian Investigative Committee has stated that samples of the relics of St. Elizabeth the New-Martyr, the sister of Tsarina Alexandra and herself a Grand Duchess, may be delivered from Israel to Moscow to aid in establishing the identity of the remains found near Ekaterinburg alleged to be those of the Royal Martyrs.